Recently I visited Colonial Williamsburg with my family. As you probably already know, I adore blue and white decor and home goods. During a guided tour, I learned that colonists loved bright colors for both fashion and home styles. I spotted numerous examples of gorgeous blue and white on this trip. 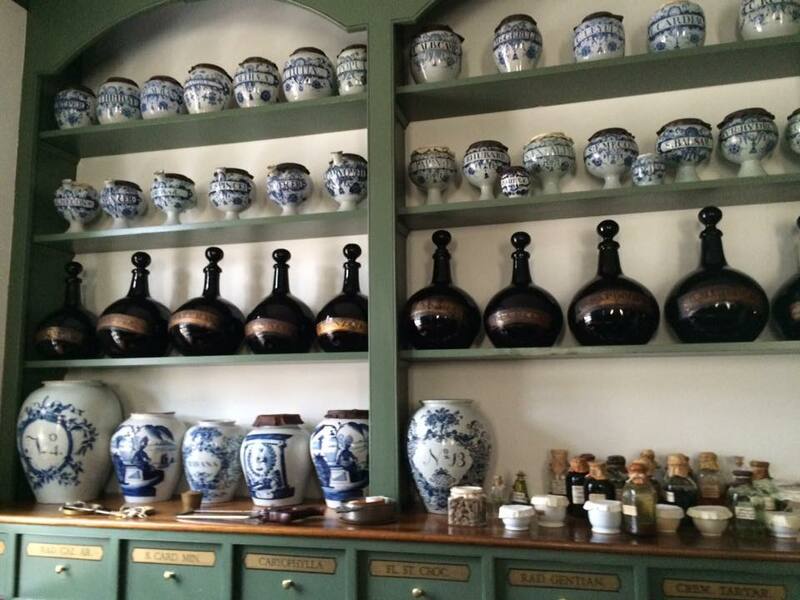 Blue and white jars of all sizes line the shelves of the apothecary. 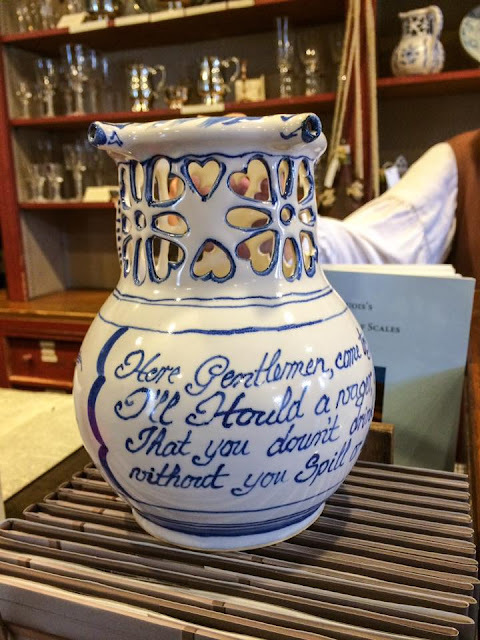 During a public auction held outdoors, I tried to win an old apothecary jar, but a woman (who also picked up every other blue and white that was included) outbid me by quite a large sum. I'm keeping my eyes out for a colonial apothecary jar to add to my collection. 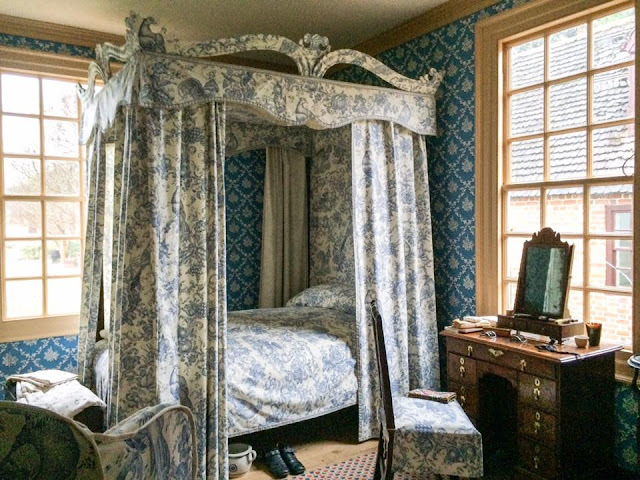 At the Everard house, I snapped this picture of a stunning blue and white bedroom. The blue and white toile pattern closely mirrors the linens in my own bedroom, except that I don't have a canopy! During colonial times, tavern visitors placed (unwise!) bets to try to drink from this puzzle jug without spilling a drop of liquid. The ingenious design holds a secret...the winner sips the drink from one of the holes in the jug like a straw, while holding a finger over other holes. 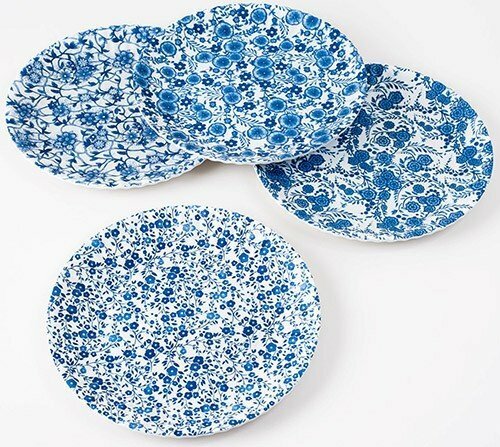 You can add a little bit of blue and white flair to your next informal gathering with these Blue and White "Paper" Melamine Plates that I saw in a store in Williamsburg. 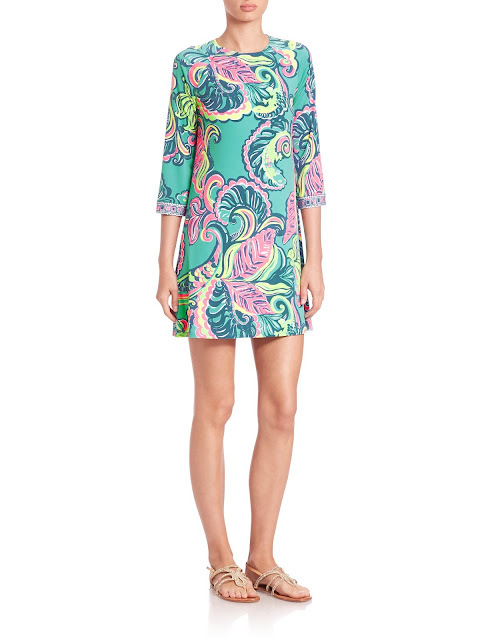 By the time you read this, the Lilly Pulitzer After Party Sale already ended. Yesterday, I shopped long before 8 a.m. at amazon.com and at Saks Fifth Avenue before returning to work after holiday break. Surprisingly, I didn't end up buying anything directly from Lilly Pulitzer. 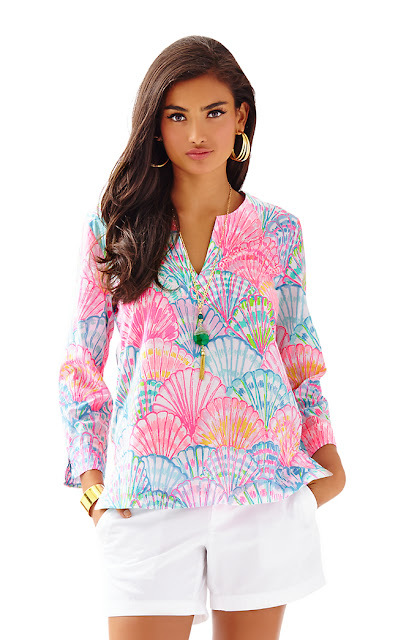 Although the Instagram flash sale for a scarf and bangle set tempted me, I already own so many Lilly scarves and honestly couldn't justify buying another one. Amelia Island Tunic, only $49! What did you find in the After Party Sale?